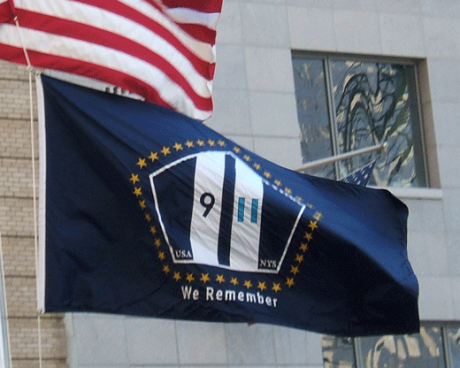 Police departments typically display both an American flag and a department flag on a flagpole at the police station. 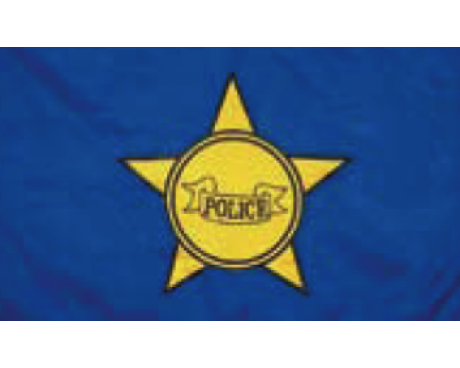 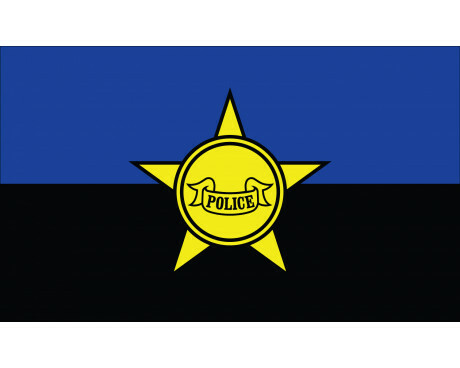 When your company doesn't have it's own flag to match the police officers patches, then they usually display one of these stock design police flags. 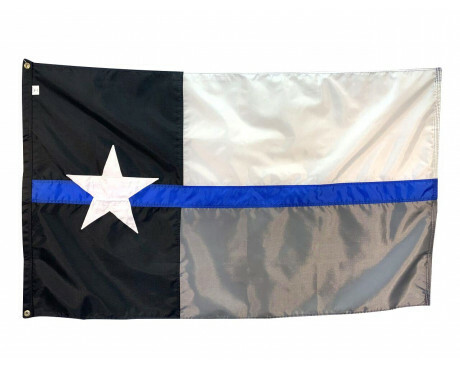 For a custom designed department flag, just send us a copy of your patch, or a photo of your police shield, and our graphic artists will be happy to design a new flag that is unique to your department. 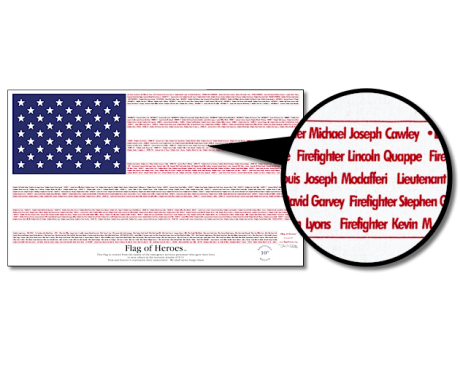 Once the design is complete, we can add your department flag design to outdoor flags and banners, a parade presentation flag or even a casket drape to honor a fallen officer. 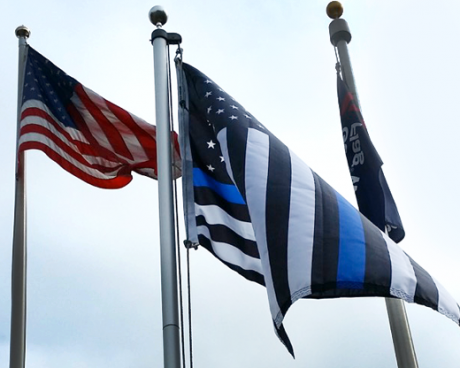 In times of mourning, police departments and other branches of the civil service display buntings and mourning flags at the station. 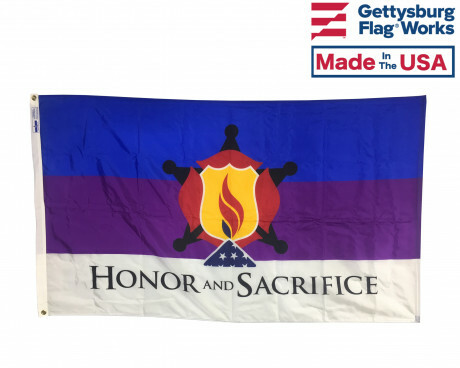 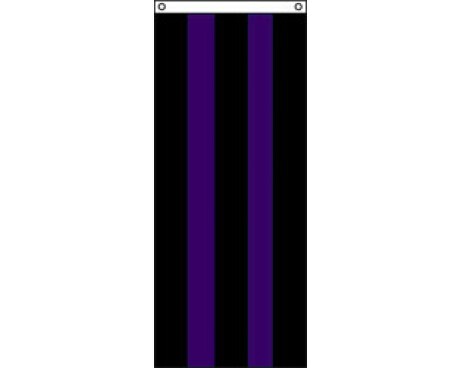 Gettysburg Flag Works offers several stock designed police mourning flags, and black and purple mourning bunting for a quick and easy display. 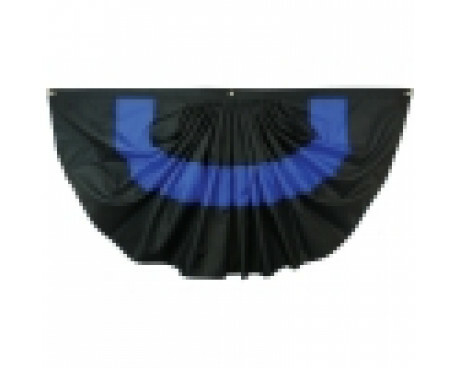 We also offer a stock police officers casket drape to honor a fallen officer. 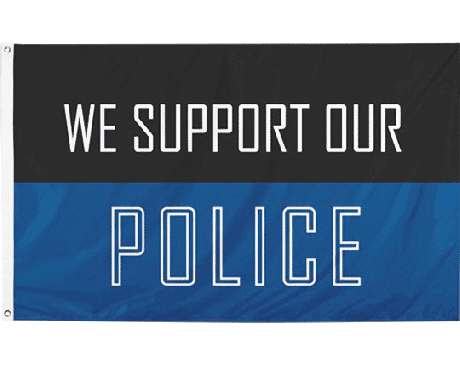 Police departments take part in many events throughout the year and a flag or banner is an easy way to decorate for those events. 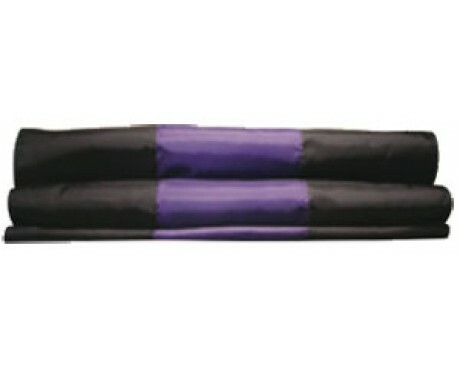 A vinyl banner for display indoors our out will be great for sponsored events as well as fairs and festivals. 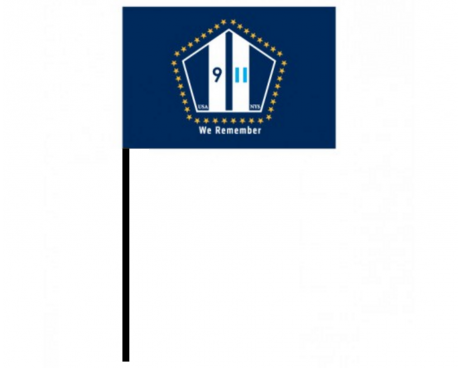 Parade flags double as presentation sets for speeches and briefings when displayed upright in flag stand and outdoor flags can easily be mounted to a wall or fence. 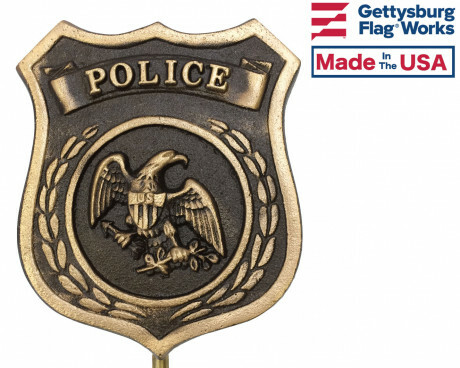 For help with your police flag needs, call or email Gettysburg Flag Works. 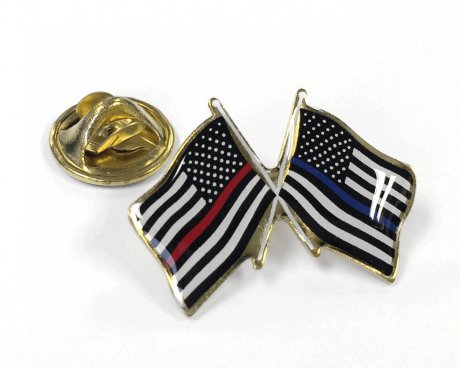 At Gettysburg Flag Works, we proudly offer a variety of Thin Blue Line products including Thin Blue Line lapel pins. 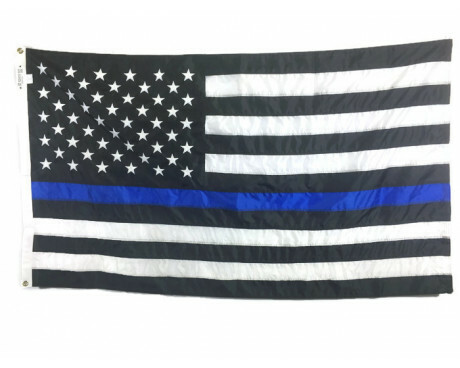 What does the Thin Blue Line stand for? 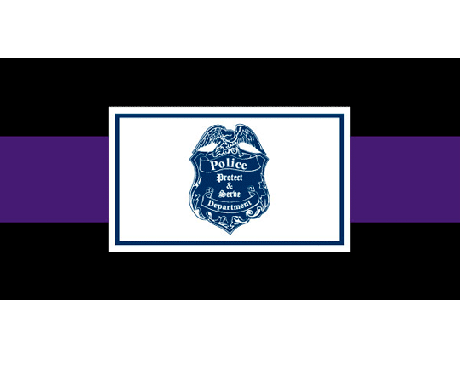 The Thin Blue Line is a symbol used by law enforcement to commemorate fallen officers. 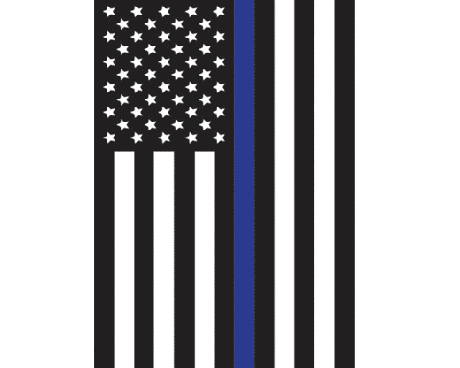 The blue center line represents law enforcement, the bottom stripe represents the criminals and the top black stripe represents the public. 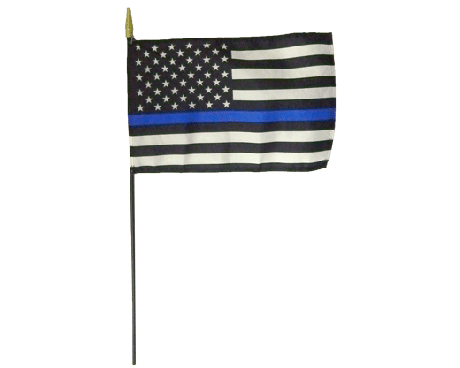 Wear a Thin Blue Line Pin to show your support for law enforcement or give one to a family member of a fallen officer. 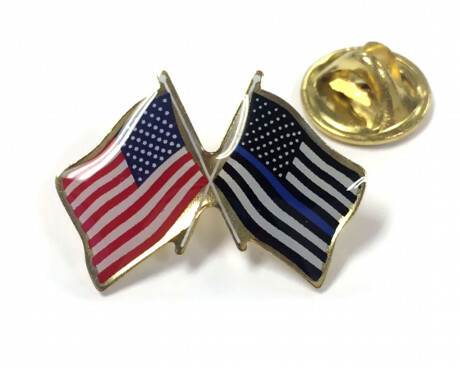 Did you know that you can also create custom Thin Blue Label lapel pins? 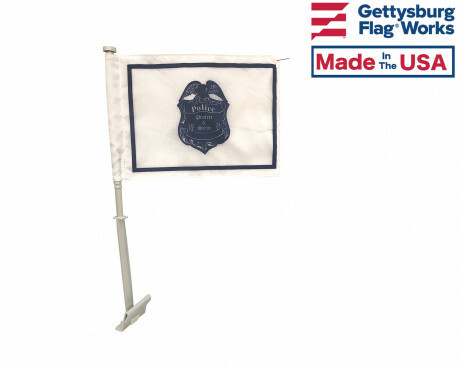 Work with Gettysburg Flag Works to design a lapel pin that we will print just for you. 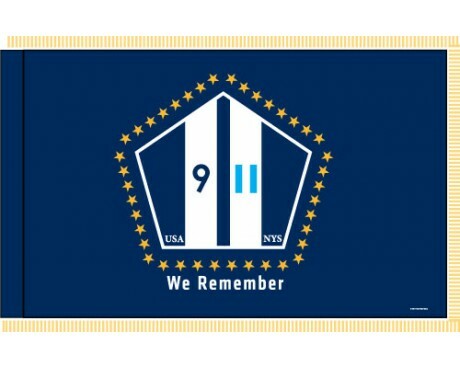 If you have an idea for a custom lapel pin, fill out our quick and easy contact form or call us at 1-888-697-3524. 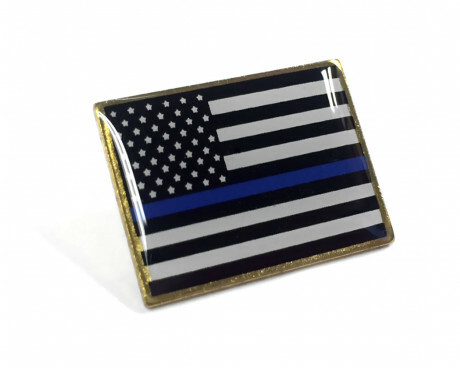 Browse our products, then order a Thin Blue Line Pin to show your support for our law enforcement today!